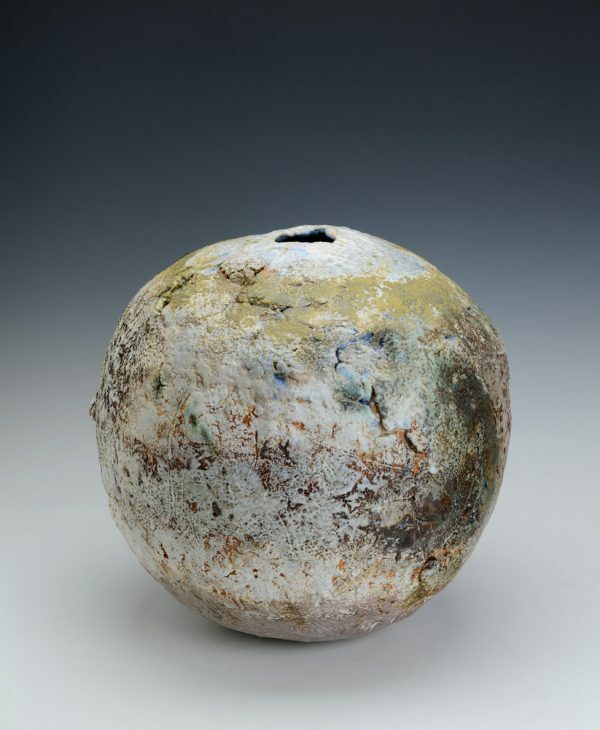 Highly textured, energeici and tactile surfaces on thrown and handbuilt sculptural vessels. The conical bowls are inspired by the natural landscape and her response to that. Pinched and coiled, swathed with layers of slips and glaze, and then electric fired. Tool marks, finger marks, fissures and cracks are integral part of each pot’s character. The Australian bush inspires the vertical forms, bark vessels, along with the landscape of more local Derbyshire.